In case you love reading, Electric Pocket has released BookLover app exactly for you allowing to manage book related tasks right on your iPhone. Now you can have virtual bookshelf on your screen with all your favorite books that you have read and make a wish-list, to place the books that you want to read in the future. The app possibilities include automatically download of cover art for books based on the title you enter. Share your opinion about the books with your friends or just recommend them the one you liked via facebook or twitter. 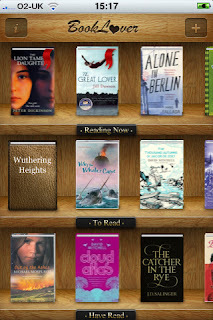 Make note for keeping track of whom you've lent your book to with BookLover app on your iPhone. BookLover is currently available at an introductory price of $1 (USD) and is compatible with any iPhone or iPod touch running firmware version 3.1.3 or later.